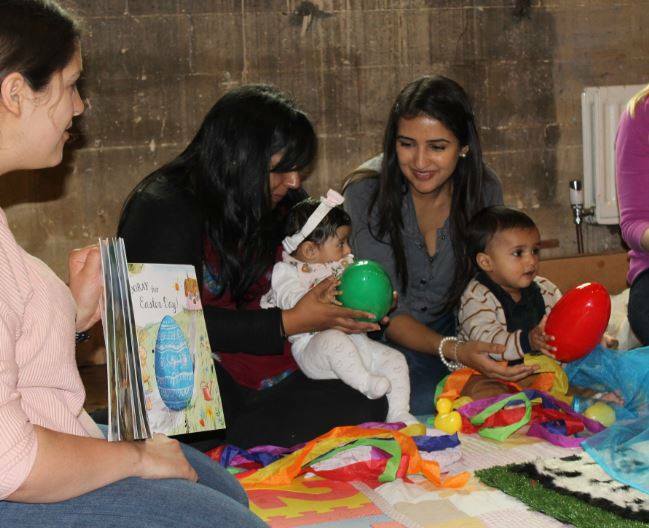 The sessions are suitable for 0-4s and each week will focus on a new children's book and last for approximately 30 minutes. Becky will bring the story to life using a range of sensory props and resources and the session will end with parachute play and a themed sing along. Classes are pay-as-you go, and can be attended on a drop-in basis (paying cash on arrival), but there will only be 12 spaces so first-come-first-served. You can reserve your place by paying in advance via bank transfer. We will also give you a loyalty card which we stamp at the end of each session- when you've attended 5 classes, you'll get the 6th for free (or if paying advance, you only pay for 5 classes when booking a block of 6). Classes cost £5, £3 for additional siblings. To request a booking, please use the form below or email Becky@totstales.co.uk for more information. The centre is located in the Pavillion building on the green opposite the Tesco store. There is a small car park or free on-street parking is available in surrounding roads. The 541 bus has a stop not far from the Centre. Contact Becky to book or for more information.